"Charles Leclerc at 5/1 represents excellent value given that he continues to match Sebastian Vettel in many areas"
What on earth happened to Ferrari? The Italian translation of that phrase has probably been thrown around rather a lot in the last few weeks after their impressive performances in testing turned into the dampest of damp squibs in Melbourne. Sebastian Vettel was seven tenths of a second down on pole-sitter Lewis Hamilton in qualifying, much to the surprise of most tipsters for the Australian Grand Prix, and he and his new team-mate Charles Leclerc were unable to make a dent in the lead of the Silver Arrows on raceday; they both finished nearly a minute down on winner Valtteri Bottas. Ferrari left Barcelona convinced that they had the fastest car and Vettel thinks the Prancing Horse have some answers after an 'intense' couple of weeks but it is significant that he also had to admit that the team are 'not in a position to be able to make promises'. Bizarrely though, Ferrari were slow on the straights and low-speed corners in Melbourne - and but there were no signs of that in Friday's practice. 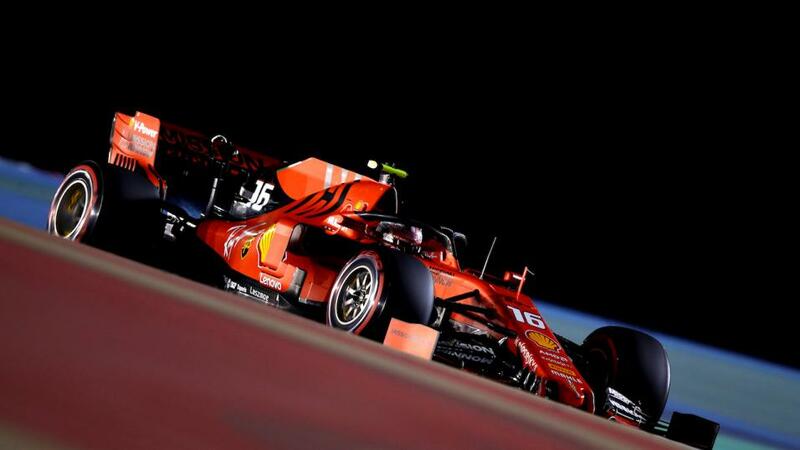 The Maranello came in from 2/1 to 4/7 to supply the winning car on race day over the course of the first two sessions but remain a decent bet with Leclerc at 5/1 representing excellent value given he continues to match Sebastian Vettel in many areas. Max Verstappen was a major beneficiary of Ferrari's struggles in the opening race of the season, with his Honda-powered Red Bull finishing on the podium and his team boss hailing an ideal weekend of engine running. Honda helped Toro Rosso to fourth in Bahrain last year so clearly have strong data on the circuit and while Ferrari are very strong, Mercedes seem to have work still to do Verstappen seems like a good each-way bet at 14/1 to take the win. Given their budget, the works Renault team will expect to start challenging the big three in the near future. With a very expensive Daniel Ricciardo in one of their seats, that progress will need to be accelerated and Nico Hulkenberg showed enough pace in the second practice session to suggest one of the required leaps forward could come in Bahrain. The German was fifth quickest and the 'best of the rest' outside the top four drivers, a stunning achievement but something the one-lap specialist is very capable of. If Daniel Ricciardo is able to avoid any damage, the Australian should be able to convert some awesome numbers in the speed traps into a decent points haul. Renault are an outrageous 325/1 to saddle the winner on Sunday but Hulkenberg (15/8) and Ricciardo (2/1) are both interesting prospects to capitalise on any top-six errors - but the new fastest lap point is within their grasp. Equally, they might well be running in the midfield with little to gain and nothing to lose from slapping on a fresh set with a few laps to go and I can find enough reasons to back Hulkenberg at 50/1 to produce the fastest lap of the race.